With offices in San Francisco and the Peninsula. Board-certified, experienced dentists, healthcare and administrative professionals. Offer a range of general and cosmetic dental services to address all of your dental health needs. Modern equipment. Local, best-in-class labs. Same-day services. Amazing staff. Zero (0%) financing available. Our appointments start on time, which means you’ll get more time with your provider and never feel rushed. With same-day services and emergency appointments, you can rest assured that you’ll get the care you need, now. Email your provider, book appointments online, and call us anytime. Our office generally responds within a few hours. We are a multi-speciality dental practice striving hard everyday to provide healthy and beautiful smiles for our patients. I personally and carefully screen each San Francisco Dentist and healthcare professional team member, all of whom have extensive experience, and are provided additional training to adhere to our clinical and other standards. Whatever general or cosmetic dental service you require, our entire team will be dedicated to your care. We can’t wait to meet you! Join the Vaksman Smile Membership Club! Some of the most serious diseases associated with snoring and sleep apnea include: stroke, hypertension (high blood pressure), heart attacks and heart disease, diabetes, gastro-esophageal reflux disorder (GERD), and many others. If you've ever gone without enough sleep, you'll be familiar with symptoms that include memory loss, fatigue, and headaches. Ultimately, sleep apnea disrupts normal brain activity, precluding restorative sleep that is required for critical bio-chemical processes. Some people have extensive dental issues that require comprehensive treatment with a final result that improves both function and aesthetic. Such patients may have numerous missing teeth, many teeth with large fillings that are failing or exhibiting decay, cracked or broken teeth, or badly worn teeth due to grinding. There is also a group of patients who were born with conditions that need extensive restoration of their teeth. As the name implies, full mouth reconstruction refers to rebuilding and/or replacing all of the teeth in a patient’s mouth. Full mouth reconstructions combine esthetics with the science of restorative dentistry to improve the health, function, and beauty of the mouth. Our dentists commonly recommend mouth guards to help with nighttime grinding (which can lead to significant tooth decay), as well as to prevent sports injuries. They are normally worn just on the upper teeth. When considering a mouth guard, there are two primary options. Although readily accessible and inexpensive, we do not recommend purchasing a ready-to-wear guard in a store. Very little can be done to adjust their fit, they are bulky, make breathing and talking difficult, and they provide little or no protection. Custom mouth guards are individually designed by our office, in coordination with a dental laboratory. The process consists of taking an impression of your teeth, which we forward to a special laboratory where the guard is molded over the model using a special material. Due to the use of the special material and because of the extra time and work involved, a custom-made mouth guard is more expensive than the other types, but it provides the most comfort and protection. Root canal therapy is performed when tooth decay (an infection) has travelled down the pulp of the tooth and has damaged nerves and blood vessels. During a root canal, your doctor would clear sufficient tooth surface and remove enough pulp, after which they would clean and seal the infection, and likely add a crown on top of the tooth. Cavities are holes in the surface of teeth which that can only be repaired by a dentist. They are the result of a variety of factors, including improper brushing and flossing, and over consumption of sugary foods. Below are the various materials and approaches we take to restore a decayed tooth. A Composite filling is a white (tooth colored) resin material that bonds to tooth structure, that is used now in place of amalgam ‘silver’ fillings to provide a strong and cosmetically pleasing tooth restoration. Because a silver filling requires a “mechanical lock” to stay in place, dentist’s usually have to drill a shape larger than the decay itself. Because of the adhesive chemistry of white fillings and the fact that they bond to teeth, no additional shape has to be drilled once access to the decay has been made. The end result is usually a much smaller filling and a stronger tooth because the bonding helps “glue” or reinforce the weak parts of the tooth. No one likes getting told that they have cavities, and when you do get them, you need to act fast before it becomes a more serious and more painful condition.Vaksman Dental Group is a practice committed to providing complete cavity solutions to ensure a healthy smile and mouth. We don’t just provide standard cavity cleaning; we also provide corrective solutions for continuing health.Our solutions include porcelain fillings, composite fillings, as well as inlays and onlays. Our dentist will work with you closely to give you the best dental solution for your needs and ensure that your teeth stay healthy and free of cavities and other damages. Dental Inlays and Onlays are restorations used to repair rear teeth that have mild to moderate tooth decay. Inlays and Onlays can also be used to restore teeth that have minor fractures or cracks. However, if the damage to the teeth is severe enough, a dental crown is sometimes warranted. Inlays and Onlays are usually made from porcelain, composite resin and sometimes gold. Aside from convenience, there are several advantages to having these procedures done in a single visit. Single visit restorations eliminate the need for additional appointments and injections, and your tooth is much better off not having a temporary restoration for two weeks. Temporary restorations can fall out and leak, which can lead to subsequent complications. Dental procedures can be traumatic to teeth, and eliminating a second appointment reduces the amount of stress put on a tooth. The difference between Inlays, Onlays and Crowns is the amount of tooth structure they replace. Restorations which cover the entire tooth are called Crowns (commonly known as caps). Whenever possible, it is better to place an Inlay or an Onlay on a tooth because it is more conservative and requires less reduction of your natural tooth. Placing a crown on a tooth requires removing more healthy tooth structure than an Inlay or Onlay, which increases the chances of the tooth requiring a root canal in the future. Inlays and Onlays also help preserve gum and periodontal health, in that they can be bonded well above the gum line, allowing for easy cleansing and less irritation. A Crown, alternatively, is a good restorative option when a tooth has had a previous root canal or the tooth has insufficient healthy tooth structure remaining to protect it from fracturing. Dental crowns are porcelain or porcelain fused to metal restorations used primarily to repair broken or fractured teeth, improve the prognosis for a tooth that has had previous root canal therapy, or change the shape or color of a tooth. When damage to a person’s teeth is extreme, and beyond repair, we can use porcelain or porcelain “fused on gold” crowns to restore the smile. This is an extremely reliable technique for repairing the most severe of dental problems, even permanently replacing missing teeth to offer a complete smile and a functional bite.A bridge fills a space where a tooth once was, and is generally three or more crowns fused together. Dental implants are tiny titanium posts which are placed into the jawbone where teeth are missing. The bone bonds with the titanium, creating a strong foundation for artificial teeth. In addition, implants can help preserve facial structure, preventing the bone deterioration which occurs when teeth are missing. Implants are designed to provide a foundation for replacement teeth that look, feel and function like natural teeth.Our office has extensive expertise in placing implants, in placing the Implant Crown to its most natural and functional form. Veneers are thin pieces of porcelain that are bonded directly to the front of each tooth. They can reshape teeth, change tooth color, close spaces, and fix worn or chipped teeth to create a white, beautiful, and uniform smile. They are an ideal choice for improving your smile and have become increasingly popular due to their simplicity and versatility. When bonded to the teeth, the ultra-thin porcelain veneers are virtually undetectable and highly resistant to coffee, tea, or even cigarette stains. For strength and appearance, their resemblance to healthy, white tooth enamel is unsurpassed by other restorative options. Placing custom veneers requires a high degree of technical skill as well as attention to cosmetic detail.Our office has had extensive training in the treatment planning and placement of custom veneers. She takes extra care to design each case individually to match and enhance the characteristics of each patient’s smile. Picture this. You wake up with a toothache. But it’s not just any tooth pain that’s plaguing you. This type of pain is excruciating and severe enough to be considered a dental emergency. You know you need immediate help of dental emergency services and that’s where we come in.At Vaksman Dental Group, we know that emergency dental care is hard to find. We also know that you shouldn’t have to suffer just because your dental emergency happened at the wrong time. We specialize in providing the ultimate care for your dental emergency, no matter how big the problem is. Read on to learn more about our services and how we can help you. We have two locations for emergency dental office services, both of which are conveniently located next to public transportation. One is located in downtown San Francisco, CA, just blocks from Union Square. This office is easily accessible from the North and East Bay. The other office is in South San Francisco, CA, just one block from BART. This second office is accessible for our Peninsula and South Bay patients. Our staff consists of professionally trained and caring dental experts who are standing by to help you through your dental troubles. 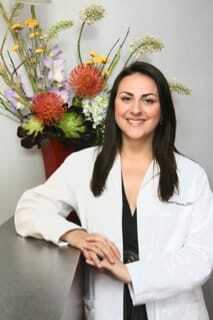 We are led by our founding dentist, Dr. Irena Vaksman. DDS. Dr. Vaksman has assembled a top-tier clinical staff associate dentists, hygienists, and assistants. The clinical staff is supported by a front office team that will make you feel warm and welcome when you call with a dental emergency. They will also help with any financial arrangements. A dental emergency can be hard to define. After all, pain is your body’s way of telling you that something is wrong. Therefore, all tooth pain merits medical attention. The question is how soon should you seek help? From a medical professional’s standpoint, a dental emergency is one that requires immediate attention to save a tooth or deal with severe pain. This occurs if you have an infection or abscess and need immediate help to control excessive or life-threatening bleeding. A broken or cracked tooth would also fall into the category of a dental emergency. Research shows that children are prone to visiting the dentist for the first time due to an emergency. A 2012 study evaluated records from 270 patients who visited an emergency dental service in 2010. Pain was the number one reason for an emergency visit among 208 children. Approximately 79 percent of the emergency visits were because of caries (i.e., dental cavity) and 31.22 percent were due to treatment that was required for endodontic intervention (i.e., root canals). The study also indicated that the children who were brought in for emergency treatment had pain that started long before the emergency but was given over-the-counter medications instead of being taken to a dentist for proper care (1). What Kinds Of Conditions Are Considered Dental Emergencies? While it’s always best to see your dentist regularly to avoid emergency situations, we realize that some dental emergencies are unavoidable. We’ve put together some guidelines to help you determine what conditions and symptoms merit an emergency dental vision. Extreme pain Pain is often the number one reason why people seek dental treatment. If your pain is so severe that it cannot wait, or if you’ve tried to take over-the-counter medications that don’t worry, then your pain would be considered a medical emergency. Seek treatment immediately if the pain has expanded from your mouth to other areas of your face. Excessive bleeding Excessive bleeding that cannot be controlled at home qualifies as a dental emergency. If you are bleeding uncontrollably from your mouth or tooth, contact us immediately or call 911. A loose tooth (as an adult) Adults should not lose their teeth. Therefore, if you have a loose tooth and it feels infected or is causing pain, then you may want to seek emergency treatment. An infection or abscess An infection or abscess in your mouth is dangerous because the location is so closely located near the brain and can worsen or rapidly. We recommend seeking treatment as soon as you detect an infection. Watch out for symptoms that include swelling of the face or gums. A cracked or chipped tooth Aside from being painful, a cracked or chipped tooth may cause excessive bleeding or may lead to an infection. Seek treatment right away if you notice a cracked or chipped tooth. In some cases, emergency dental surgery may be required to fix a cracked or chipped tooth. Are you bleeding excessively from the mouth or tooth? Are you in excruciating pain that radiates from the mouth or tooth? Is there any knots, bulges or swelling in your gums, teeth or mouth? Did you recently suffer from a direct hit or injury to your mouth or face? In some cases, pain or bleeding might be caused by losing a crown or cap. If the pain and bleeding become severe, call us immediately. If this happens after hours, we recommend that you monitor the pain and bleeding. This will eventually need to be replaced. In addition to symptom relief, research shows that patients who seek emergency dental services also want to receive psychological support (2). In other words, they want to be reassured and informed about their condition and know that it’s not as dangerous as they think. Here at Vaksman Dental Group, we guarantee that our experienced and sensitive staff will provide you with all of the information and care necessary to treat your condition or symptoms. We understand that emergencies happen and will never make you feel unwanted or embarrassed about your needs! Ever wondered if you can get your teeth straightened without having to deal with an embarrassing set of metal braces? Apart from the embarrassment when you sport that toothy metal smile, traditional braces can also prevent you from eating the food you love. For a majority of patients, we suggest Invisalign braces to correct a variety of issues, including over and underbite. For even more information CLICK HERE. Removable: So you can eat and drink what you want while in treatment, plus brushing and flossing are no problem.Comfortable: Because it has no metal to cause mouth abrasions during treatment. And no metal and wires usually means you spend less time in your doctor’s office getting adjustments.Aesthetic: These aligners are clear and more aesthetically pleasing than conventional braces. Most people will not even notice that you are wearing any sort of dental appliance. Severe Crowding: Not all patients are good candidates for Invisalign. If your teeth are too crowded and require more aggressive orthodontic treatment, then conventional braces may be a better option. Your Invisalign dentist will discuss your options with you during your consultation.Compliance: Metal braces stay are not removable, whereas Invisalign is removable. While this adds flexibility It is essential for the patient to wear the aligners regularly to obtain the desired results. As teeth are constantly moving, it is important for the aligners to be worn as directed to obtain quicker and optimum results. When many of your teeth are loose or painful, they may be beyond saving. This condition is usually caused by advanced periodontal disease. If you are not a good candidate for implants, then removing your teeth and replacing them with a denture may be the best way to eliminate the infection and restore the health of your mouth. Periodontal disease causes bone to be lost; if it’s not caught in time, there’s so little support for the teeth that they have to be removed.A Full Denture replaces all the missing teeth in the upper and lower jaw. When the entire procedure is completed in one day, it’s called an Immediate Denture. A Partial Denture is a removable dental appliance that replaces multiple missing teeth. It can be attached to the teeth with clasps (metal or tooth colored) or it can be attached to the teeth with crowns with precision attachments (hidden clasps). An Implant Overdenture is a denture that has some sort of direct connection to dental implants. The connection helps secure the Full Denture into place, while overcoming the instability and lack of retention of a common complete denture. This is a good treatment option for an individual who requires a full denture, but wants to achieve a more stable and less bulky type of restoration. More commonly known as gum disease, "periodontitis" can cause serious damage if not treated immediately. A bacterial infection in this area is what causes gum disease to occur and can lead to weakening of the bone and possibly tooth loss. Gum disease is best treated in its earliest stage, known as gingivitis. During this stage, your gums will become red, inflamed or swollen. Many times, this inflammation can be attributed to the bacteria found in plaque, the sticky film that can form on the teeth. However, gum inflammation can be caused by many other factors, including medical conditions, poor nutrition, smoking and even stress. Even with red, swollen gums, you may feel little discomfort, which causes many people to ignore the warning signs of periodontal disease. With treatment from your dentist or periodontist and proper oral hygiene, the effects of gingivitis on your teeth and gums can be reversed. The more advanced stage of gum disease is called periodontitis. Periodontitis comes in two main forms: aggressive and chronic. With aggressive periodontitis, otherwise healthy patients experience accelerated bone deterioration. On the other hand, chronic periodontitis is the more common form that progresses at a slower pace but still requires immediate treatment. Periodontal disease can be treated several ways, depending on how advanced it is. Non-surgical treatments may include prescription mouth rinses or scaling and root planning. For those with periodontitis, surgical treatments may be recommended, such as soft tissue grafts, pocket reduction or bone regeneration. If necessary, we may suggest preventive care options that include fluoride treatment, sealants, professional breath control, and periodontal (gum disease) treatments designed to help you maintain your smile’s health and beauty. Of course, the best treatment for periodontal disease is prevention. This means brushing and flossing daily, along with regular visits to your dentist for dental cleanings and examination, which can ward off gum disease and keep your smile healthy now and in the future. Vaksman Dental Group is…a notch above [and] I notice a big difference [from] other dentists. Their equipment is current, their knowledge informed and helpful, and their pricing in line with other dentists. – Lara C.
My hygienist, Kerri, was awesome as usual and the receptionist was the nicest and most friendly receptionist I’ve encountered in my 4.5 years coming here. – Roya K.
I am so happy with my smile…[and] would recommend Vaksman Dental Group. The facility is spotless, the team is friendly and the front desk [person] always has a smile to greet you. – Chris L.